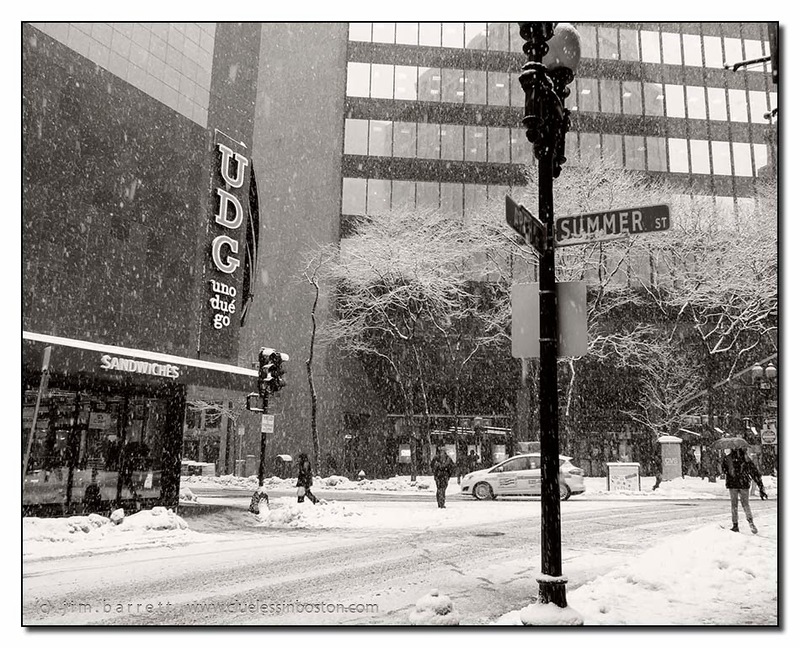 Clueless in Boston: Winter on Summer St. I am very glad to see you back. Boston strikes me as a hard place to live in the winter, even in less exceptional years. Stunning image, very well captured! Impressive winter in your place! and I like your winter's pictures too!Miles away from my everyday life..